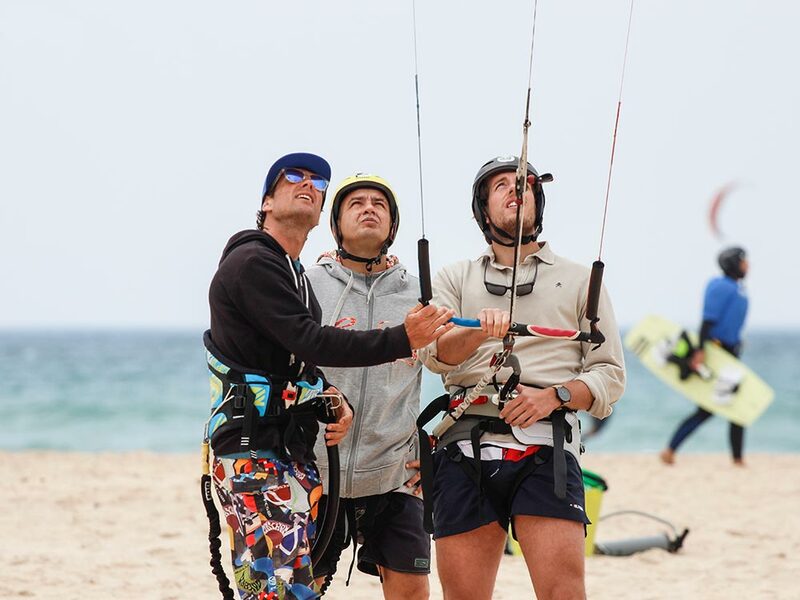 Know all the kite courses you have at your disposal! From 20 euros per hour. When should you take group lessons? If you are a group of friends, or want to form part of a group, and try out this new sport, this is the best way. You will be sharing your lesson with three other people, as the groups are for a maximum of 4 people. This way you can get a good basis about what kitesurfing is, at an affordable price. 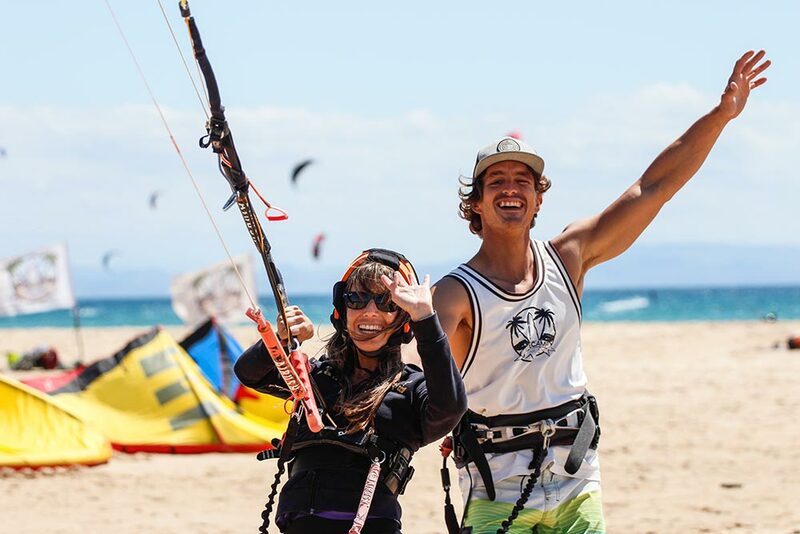 For longer stays, Kitecamp tarifa recommends this option, as you have time to absorb all the information and enjoy this sport to the maximum. When should I take Semi Private lessons? 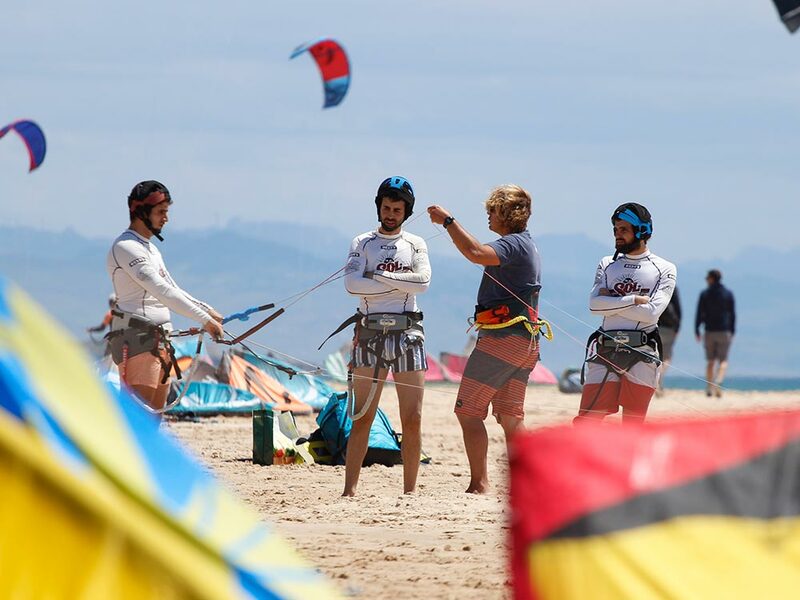 Kitecamp Tarifa recommends semi private kitesurf lessons for your first initial hours of learning. With a maximum of two people per instructor, you will be able to enjoy an efficient lesson, and learn fast. If it is your first day, you will start by learning to fly the kite, security systems, weather and wind conditions etc. It is recommended to start the learning process by sharing your lessons with someone, and then continue with private lessons. When should I take private lessons? If you want to learn how to kitesurf independently and dont have much time, then Private lessons could be the best solution for you. If you really want to continue with this sport, this is the best solution. You will have an instructor dedicated only for you, who will help to correct and teach you in a personalised manner, and adapted for your level. Safety will be provided at all times as your instructor assists you always, so that you can enjoy learning how to kitesurf. Our work is supported by our seriousness and commitment to the customer. Qualified instructors with more than 15 years of experience. F-One equipment renewed every season. 1.All of the equipment necessary.